Thanks for the report from your side. I Am glad that the singnal can be heard to france. But I will introduce myself. 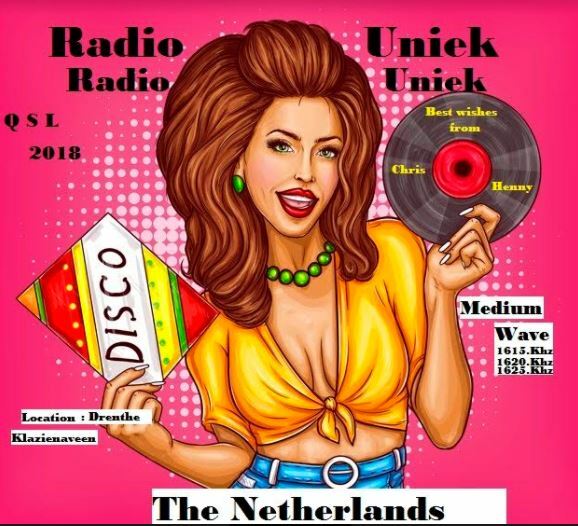 My name is Chris and my wife is Henny,together we are Radio Uniek . Our location is Klazienaveen which south east drenthe. Power transmitter 400 Watts Power. The antene I use a coil antene at 18 meters height. 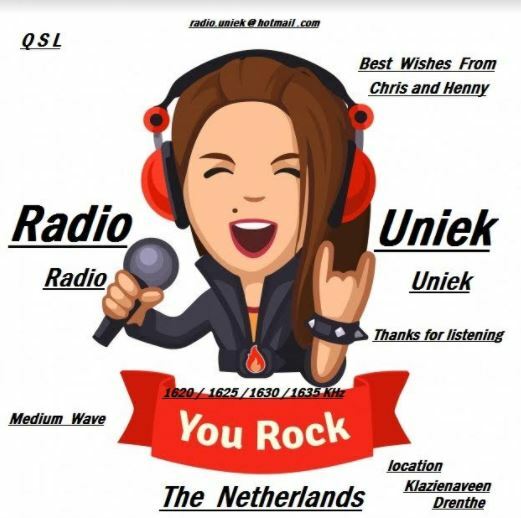 We want to thank you and maybe until next time.